Walt Manis grew up on a farm in Arkansas. One thing he used to do when he was a kid was talk to God while he explored nature. One day God gave him a glimpse of his future. In the vision, Walt saw that he would have a daughter and her name would be Chloe. Walt never let go of that vision. When Walt grew up, he got married to Annie, a girl he had known since he was a child. Annie told Walt that she wanted to be a mother more than anything. She also told him that if they had a daughter, she would name her Chloe. The fact that Annie wanted to name her daughter Chloe prompted Walt to share his vision with Annie. Though married life was good, the couple wanted kids more than anything. They tried for years to conceive, but they were unable to have children through biological means. The fact that they struggled to have kids put a strain on their relationship with each other and with God. Eventually, the pair turned to adoption. Walt wasn’t sold on the idea, but he supported Annie through the process. When a pregnant woman who wanted to give her baby up for adoption chose Walt and Annie to take her child, the Manis’s were happy, but a little disappointed that the child wouldn’t be their natural child. The woman wanted to meet the couple in person before she agreed to the adoption, so Walt and Annie drove to meet her. When Walt, Annie and the mom met, Walt’s doubts disappeared. The reason his doubts disappeared was because the mother of the baby looked exactly like the child in the vision God had given him when he was young. The mom also wanted to name the child Chloe—the same name Walt and Annie had in mind for their firstborn. When Chloe was born, she was the child Walt had seen in his vision. 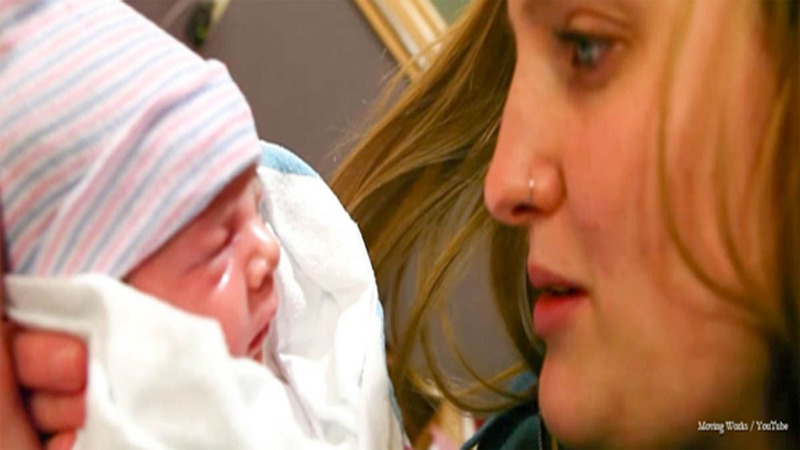 Chloe’s arrival showed the couple that God is good and He works out things in His timing. Since Chloe’s birth and adoption, the Manis’s have added to their family again through adoption, according to a profile on Choose Joy. This time they adopted a little girl named Naomi. Walt and Annie’s story was posted on YouTube by Moving Works, a media ministry for which the couple works. Their story has been views more than 200,000 times and is touching people around the globe if the comments are any indication. Watch the Manis's story of hope, adoption and God's faithfulness below.